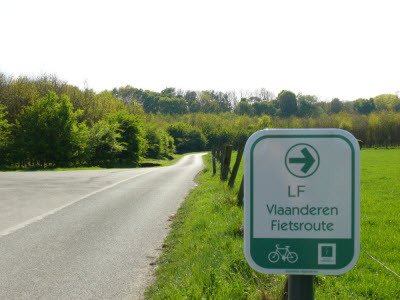 The LF 5 is the northern branch of the Flanders Cycle Route. It covers a distance of 300 km from the historical “Book Town” Damme to the “White town” Thorn on the Maas. This route mainly follows traffic-free paths alongside rivers and canals, but also winds its way on quiet roads through the woods and heathland of the green Campina.